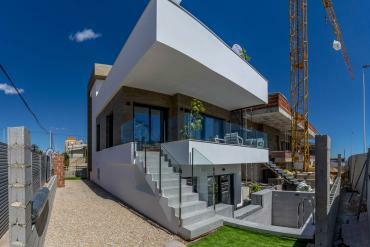 This month we want to show you a great property for sale in the Costa Blanca. We are proud to make available to you a cheap apartment for sale in La Mata, Alicante. With Casas Espania you will enjoy the sun and the Mediterranean Sea in your own property, as we provide you the cheapest and most beautiful spaces to live in the Costa Blanca and Costa Cálida. Buying this gorgeous and cheap apartment for sale in La Mata (Alicante) you will enjoy of a great property in one of the most attractive towns in the area. 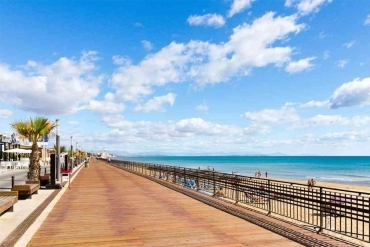 La Mata is located really close to Torrevieja, a bigger city with a vibrant atmosphere and thousand of amenities. The most remarkable aspect of La Mata is its Natural Park, which represents an amazing area with astonishing Mediterranean landscapes and a high volume of natural life. The lagoons of La Mata are the home of savage animals and plants spices, so it is a great environment where enjoy of a natural lifestyle and incomparable landscapes. By this cheap apartment for sale in La Mata, we want to make available a property where enjoy such a beautiful place in Costa Blanca. You will enjoy of 60 m2 and 2 large double bedrooms and a family bathroom. This cheap apartment includes a spacious and bright lounge dinner, as well as a beautiful communal pool. 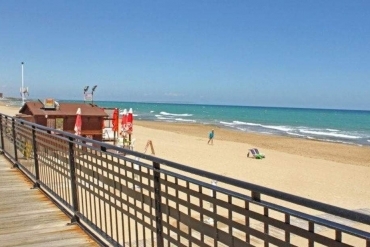 We want to remark that it is located at just 300 meters to the beaches of golden sand of La Mata. You will enjoy of all kind of facilities such as restaurants, shops, bars, banks, supermarkets, etc. Of course, the price is an important aspect and this great apartment will be yours for just 79.500€. If you are thinking about get a cheap apartment for sale in La Mata (Costa Blanca), do not hesitate to contact us and we will provide you all the additional information you wish.